Social media is continuing to revolutionize the way we think about digital marketing. Building a brand and marketing yourself or business can often be frustratingly unpredictable. What works for other brands might not work for yours. Furthermore, what worked for your brand last year may be outdated and fail to maintain your brand’s relevance for the next year. For example, maybe your brand hasn’t moved from printed ads to using the evermore popular digital signage displays. Or, maybe your efforts would work better on a different social media platform. Oversights like these can make the difference between having your brand seen by new and emerging audiences to seeing your brand dwindle away because of stale marketing methods. 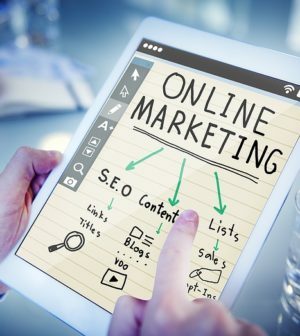 With new trends emerging in social media to provide convenience to customers, new marketing techniques, and data security, your brand will need to keep up to appeal to all customers. As we look toward the future, you’ll need to be innovating your social media campaign in the following ways to solidify and maintain your brand. If you don’t deploy a social media marketing campaign by 2018, your brand may be dead in the water. Social media is a staple of the digital marketing world for getting your business’ services in front of multiple audiences, generating leads, and retaining customers with engaging content. If you have implemented a social media marketing strategy and are still having trouble with brand visibility, take a look at some new strategies or different content. Influencer marketing is found to be increasingly effective, especially in social media circles. You can imagine the amount of trust that would instill in your audience and business if you could get a famous celebrity to endorse your product or service. Although not everyone has the connections to get a celebrity endorsement, if you can persuade or even pay a well-liked blogger or social media figure to come out with a piece of content applauding your product or service, your return on investment will be well worth it. If your content is the aspect of your social media marketing campaign that seems to be lacking, try revising the style of your content. Ephemeral content has found its way to the forefront with the success of Snapchat, so much so that Facebook and Instagram had to adopt this popular style of content. With a short-lived 24-hour lifespan, audiences feel like there is a timeline on the service marketed and that they need to take advantage. Ephemeral content usually comes in the form of a short burst of video and images to work within the audience member’s patience and attention span — which is the holy grail of the marketing world. Social listening and social media monitoring are instrumental in understanding your audience. If you can gain a firm grasp on your audience’s needs, wishes, and interests, then you can craft very successful social media marketing strategies. Social listening can reveal super relevant content topics as well as point out gaps in marketing efforts. On any social media platform, your followers are liking, commenting, and sharing your posts. Social listening is the concept of analyzing this information to understand what your audience likes and doesn’t like pertaining to your business. Essentially, you are having a conversation with your audience about what areas your business is doing well in, and what it needs to improve on. Since social media is, well, social, companies are finding the benefits to listening and asking their customers questions as to what they can do better to increase customer satisfaction. Through various tools and software, social media monitoring can illustrate how your content is doing by showing the correlation between your posts and the views, likes, comments, and shares of the post. For example, the more likes, shares, and (positive) comments indicate that your marketing content was successful. Conversely, the fewer likes, shares, etc., can reveal that you should rethink your strategy to another social media platform, consider different content, or to just note that the effort fell flat and not to recreate it. Social listening is extremely valuable for the direction of your marketing efforts. Since marketing is heavily audience-dependent, why wouldn’t you ask your audience members what they like, or take the time to understand them before you begin your campaign? However, when asking for information, make sure you and your audience know basic cybersecurity measures to avoid the dangers of releasing sensitive information over the internet. In any situation where customers give you private information, secure methods of keeping that information safeguarded is imperative. Problems with cybersecurity can turn a customer away from your services immediately. If there is broken trust between you and a customer — whether their information is leaked online or hackers obtained this sensitive material in a breach — it will cause ripples throughout your whole customer base. In a day and age when the internet is being flooded with information, sensitive or not, it is important for everyone to have the proper security measures in place for their data. Proper security can only go so far, as in many instances personal information is relinquished due to user error. We’ve all heard the Facebook, Twitter, and Instagram stories of someone accidentally posting very sensitive material for all to see. In fact, a recent survey on Facebook tricked users into giving out information which was then used to steal their identities. It is up to your brand to make customers aware of suspicious activity such as malicious links, as well as preventative measures, password protection, and when or where to not disclose banking details. Cybersecurity can make your customers feel better about doing business with you, but some things can be out of your control, such as user error. It’s up to you to include security measures and preventative information as part of your business and brand goals to eliminate the possibility of the loss of trust. It will go a long way toward building and maintaining a trusted brand for your customers. In 2015, PersistSEO advocated that “using social media marketing for your business is no longer optional or extra if you are serious about marketing your business.” This statement was true then, and it couldn’t be more applicable in 2018. If you want your brand and marketing efforts to stay relevant, you must implement a social media marketing campaign. But building and solidifying your brand can be tough for a marketer. Social media, customer interaction, and cybersecurity are all crucial factors in building a brand and staying visible, and they are always evolving. Staying a step ahead of the competition with new and innovative ideas and keeping up with business trends will equip you with interesting marketing techniques for your customers to stay engaged. These tips will help point you toward a future of bringing in business and staying in business.